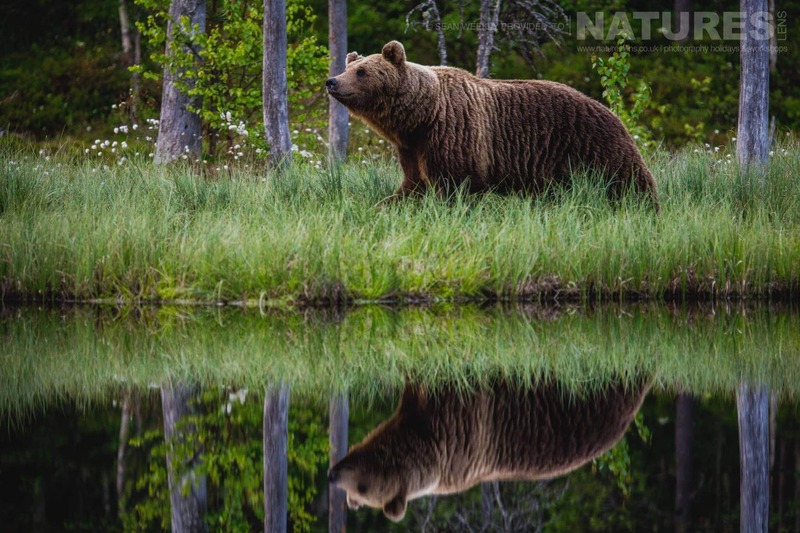 Join NaturesLens on a wildlife adventure, heading deep into Finnish forests to photograph the native brown bears which inhabit the region, observing this magnificent animal as it roams freely throughout its remote woodland habitat. The environment offers the perfect backdrop in front of which to capture the bears as they hunt & maintain their territory. This is a unique opportunity to capture incredible images of this secretive species within their picturesque natural environment. 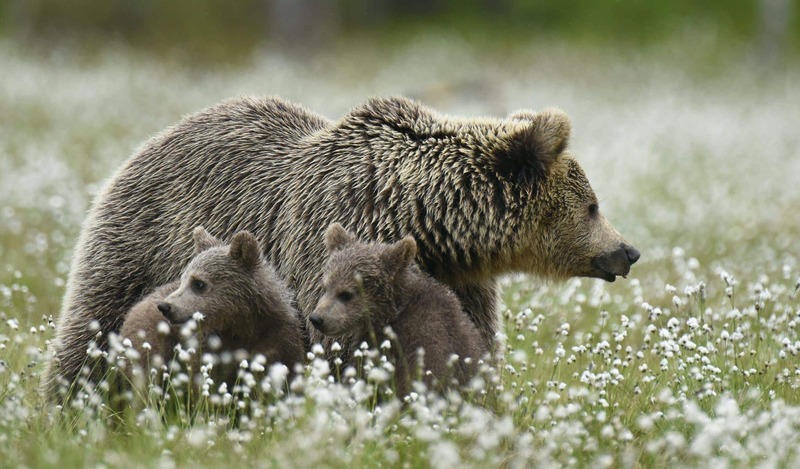 Join NaturesLens to capture images of top level predator & their cubs, in Finland, during the Wild Brown Bears of Finland past event. This past event is of day duration on a Full Board, Shared basis & costs £1099 per participant. 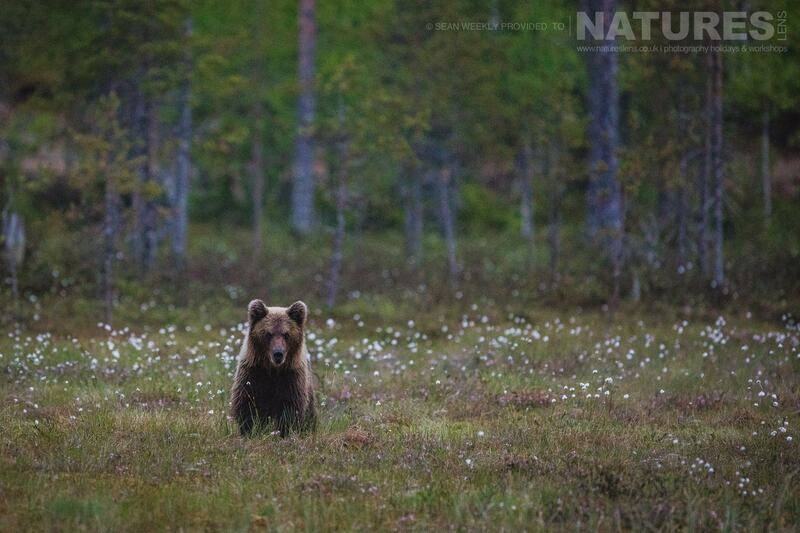 The majestic brown bear, considered by many as the king of the forest, wanders predatorily across an expanse of unspoilt woodland, which lies along the Finnish/Russian border. This is one of Europe’s few remaining true wildernesses, allowing native species like the brown bear to thrive without any threat from human activity. Remaining hidden in comfortable hides with beds & bathroom facilities; disguised within the landscape, you will have the opportunity to photograph the bears within both forest & meadow hides throughout the day, using the changing light conditions to maximise the quality of your images. 17 of the 22 hides you will have at your disposal have been built specifically with the photographer in mind, meaning that their structure & interior is perfectly suited to provide an enjoyable & comfortable photography experience, whilst giving you the best access to views of the landscape from which to take photographs. Being eye level with these magnificent predators lets you immerse yourself in the action, observing the bears’ behaviour using both telephoto & wide-angle lenses, capturing perfect close-up images with the bears remaining none the wiser. You may also encounter other native species, such as the wolverine, or the elusive red squirrel. We have chosen to hold the trip at this time of year so that your photography will benefit from long hours of light, allowing daylight to light your images for as long as possible. This is also the season during which the bears are most active, making it the optimum time to capture the bears at their best, obtaining the most diverse range of photographs. The mysterious forested landscape provides the perfect backdrop for achieving editorial quality images. NaturesLens guides will assist you in making the most of the lighting & the environment when needed to ensure that you are able to make the most of the photographic opportunities. 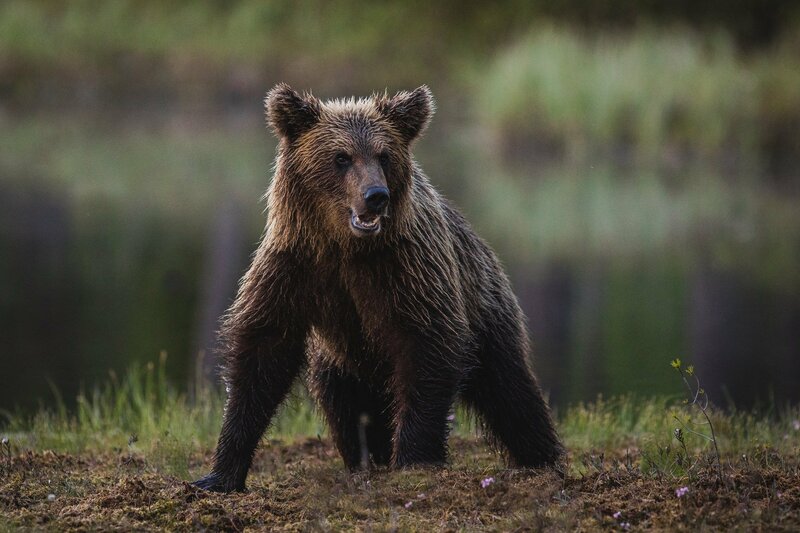 Join NaturesLens for an exciting photography excursion into the wilderness of Finland, capturing beautiful images of the impressive brown bear as it thrives in its picturesque natural habitat. We can only offer a select few people this opportunity each year, so book early to avoid missing out. Join Johnny Södergård, a member of the NaturesLens guiding team, on a wildlife adventure, heading deep into Finnish forests to photograph the native brown bears which inhabit the region, observing this magnificent animal as it roams freely throughout its remote woodland habitat. The environment offers the perfect backdrop in front of which to capture the bears as they hunt & maintain their territory. This holiday provides a unique opportunity to capture incredible images of this secretive species within their picturesque natural environment. Join NaturesLens to capture images of wild Brown Bears, in Finland, during the Wild Brown Bears of Finland photography holiday. This photography holiday is of day duration on a Full Board, Shared basis & costs £1999 per participant. The majestic brown bear, considered by many as the king of the forest, wanders predatorily across an expanse of unspoilt woodland, which lies along the Finnish/Russian border. This location is one of Europe’s few remaining true wildernesses, allowing native species like the brown bear to thrive without any threat from human activity. Remaining hidden in comfortable hides with beds & bathroom facilities; disguised within the landscape, you will have the opportunity to photograph the bears within both forest & meadow hides throughout the day, using the changing light conditions to maximise the quality of your images. 26 of the 29 hides you will have at your disposal have been built specifically with the photographer in mind, meaning that their structure & interior is perfectly suited to provide an enjoyable & comfortable photography experience, while giving you the best access to views of the landscape from which to take photographs. Being eye level with these magnificent predators lets you immerse yourself in the action, observing the bears’ behaviour using both telephoto & wide-angle lenses, capturing perfect close-up images with the bears remaining none the wiser. 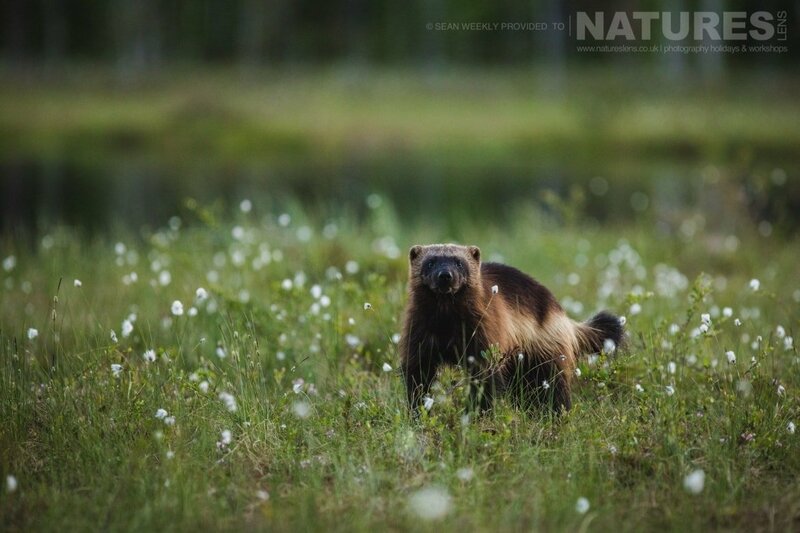 You may also encounter other native species, such as the wolverine. We have chosen to hold the trip at this time of year so that your photography will benefit from long hours of light, allowing daylight to light your images for as long as possible. This season is the one during which the bears are most active, making it the optimum time to capture the bears at their best, obtaining the most diverse range of photographs. The mysterious forested landscape provides the perfect backdrop for achieving editorial quality images. Johnny will assist you in making the most of the lighting & the environment when needed to ensure that you can make the most of the photographic opportunities. Join Johnny Södergård, a member of the NaturesLens guiding team, for nights in Finland, photographing the majestic European brown bear. Benefit from the long hours of daylight to capture stunning images of this magnificent predator in swamp, meadow & forest habitats. 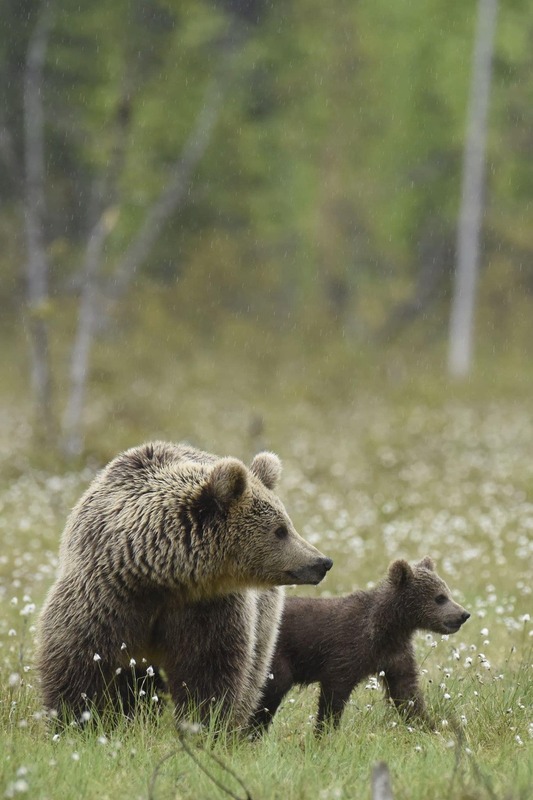 Join NaturesLens to capture images of top level predator & their cubs, in Finland, during the Majestic Brown Bears & Cubs of Finland photography holiday. This photography holiday is of day duration on a Full Board, Shared basis & costs £1999 per participant. Join Johnny Södergård, on a wildlife adventure, heading deep into the Finnish forests to photograph the native brown bears & their adorable cubs. The remote woodland habitat offers the perfect backdrop in which to capture these majestic predators & their offspring as they play, hunt & maintain their territory. Unlike some operators who visit just one location, you will have the unique opportunity of visiting two of the best locations in Finland to capture incredible images of this secretive species with opportunities to also photograph wolverine &, if you are lucky, the wolf. What’s more, you will also be photographing from the professional hides which take just two photographers instead of the regular hides which take 9 or 12 photographers. 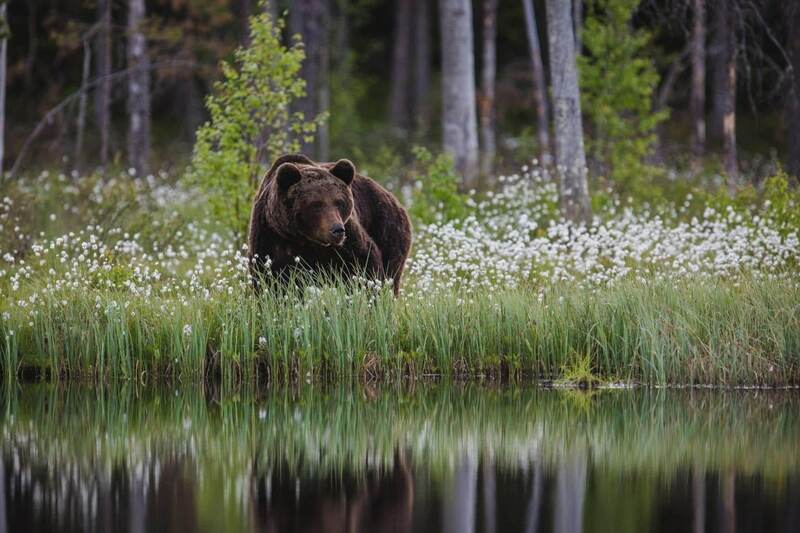 The majestic brown bear, considered by many as the king of the forest, wanders across an expanse of unspoilt woodland, which lies along the Finnish/Russian border. This area, the Taiga, is one of Europe’s few remaining true wildernesses, allowing native species like the brown bear to thrive without any threat from human activity. They are solitary creatures, coming together only when they mate. 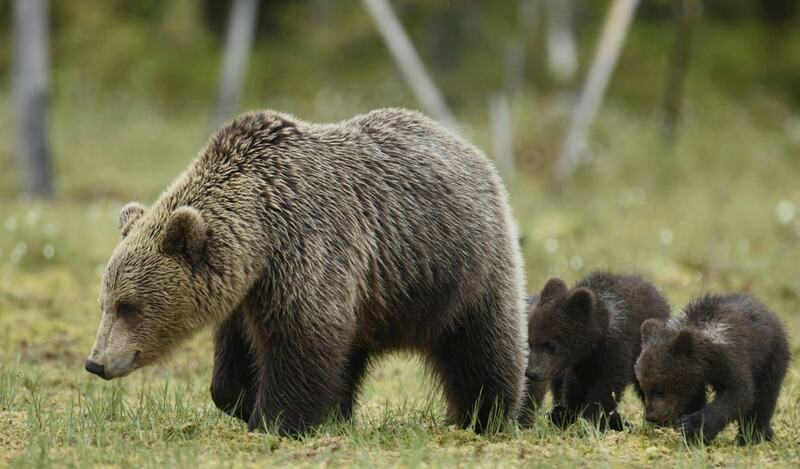 The female will keep the cubs with her for 2 to 3 years until they are independent before sending them on their way. 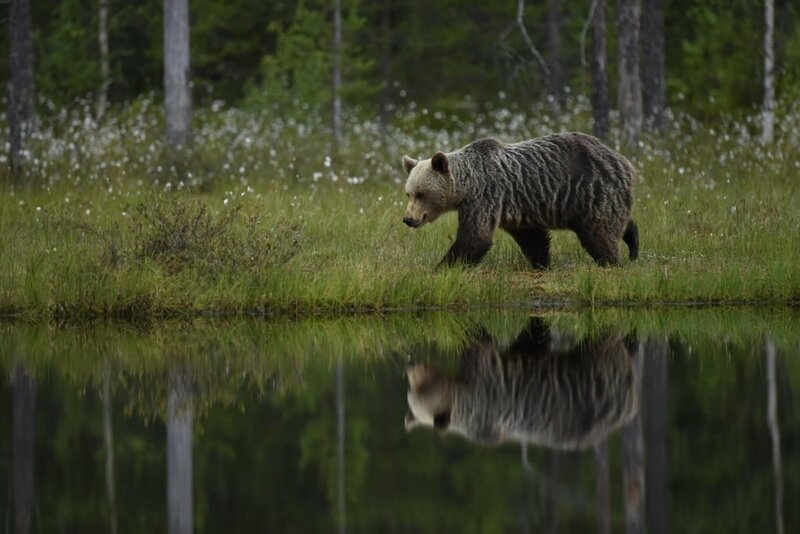 You will spend three nights in the Viiksimo region to capture images of Finland’s large carnivores – brown bear, wolverine & wolves; before moving on to the Suomussalmi region for a further three nights to photograph adorable bear cubs. The hides at your disposal have been built specifically with photographers in mind to give you the best access to views of the landscape from which to take photographs. The hides are equipped with beds & toilet facilities to make your sessions as comfortable as possible. We have chosen to run this trip to coincide with the natural phenomenon known as the midnight sun in Finland so that your photography will benefit from long hours of light, allowing daylight to light your images for as long as possible. This season is the one during which the bears are most active, making it the optimum time to capture the bears at their best, obtaining the most diverse range of images. The mysterious forested landscape provides the perfect backdrop for achieving stunning images to add to your portfolio. Johnny will be on hand to provide you with assistance & maximise the opportunities provided by the light & environment. 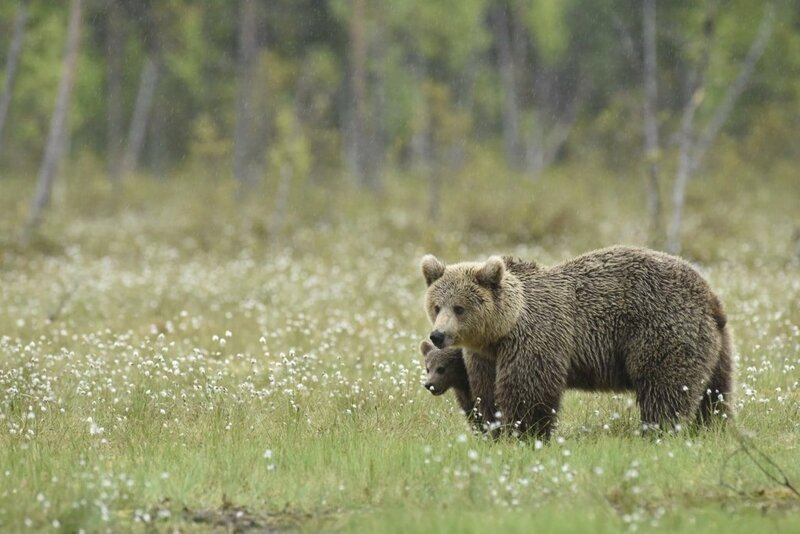 Join NaturesLens for an exciting photography excursion into the Finnish wilderness, capturing beautiful images of the impressive brown bear & their cubs as they thrive in their picturesque natural habitat. Places are limited, so book early to avoid missing out. You will be shooting in low light conditions & overnight. Use of pro-photography hides – The hides that we make use of during the trips only take a couple of people maximum, there are a number of these hides throughout the forest & we rotate the holiday participants through the hides – this means that the variety of photos is quite wide without everyone getting the same images or being packed into one of the larger hides at other centres. Camera familiarity – Talking in the hides must be kept to a minimum to not disturb the bears. Therefore you must be familiar with your camera & what settings to use in low light conditions.Johnny will be available to provide help & advice in the afternoons before dinner, ahead of your hide session. Whatever your query regarding our photography holiday, Majestic Brown Bears & Cubs of Finland, please fill out your details below & we will get back to you.